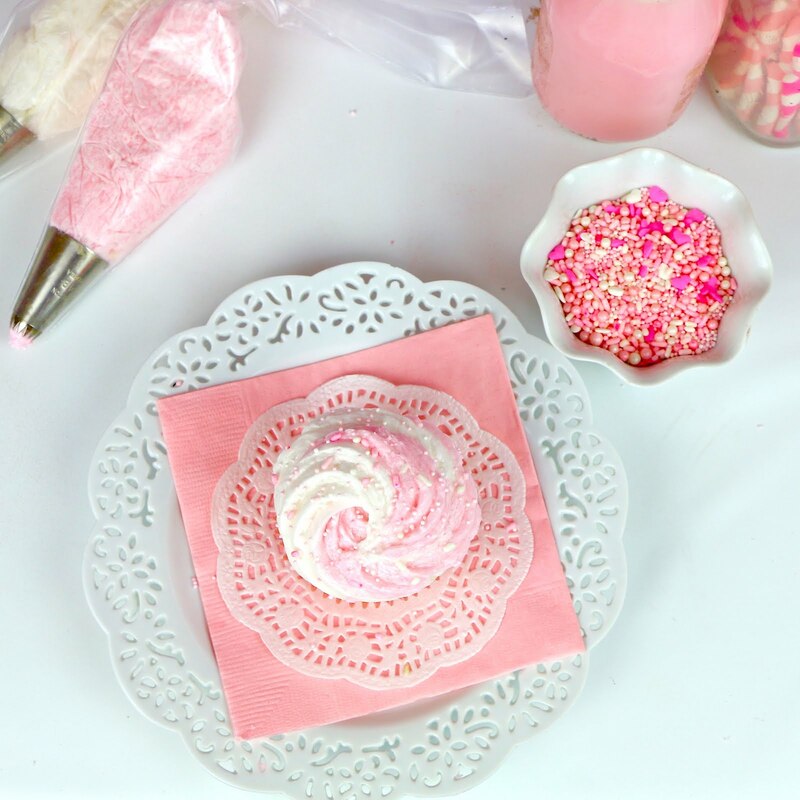 Learn how to pipe a perfect swirl for fun and festive cupcakes to match the theme of any event or party! These are my 6 all time favorite go-to bakery style swirls. 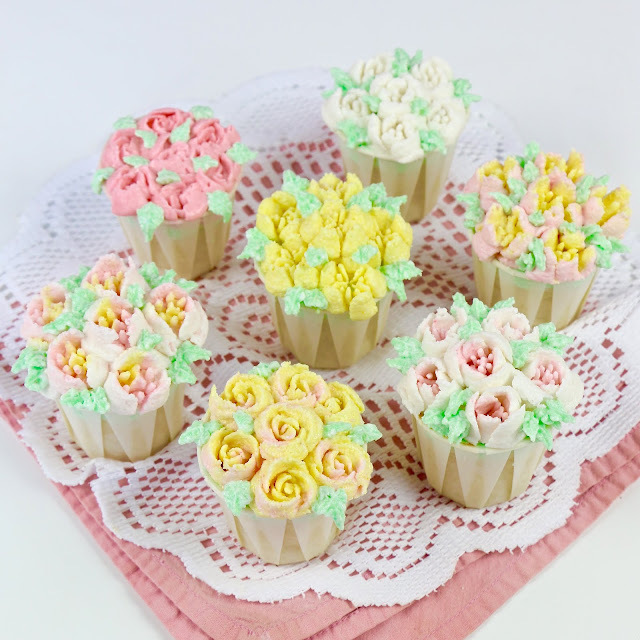 They are all pretty simple to master once you get the hang of them and they come out so gorgeous, everyone will think they came from a gourmet bakery! 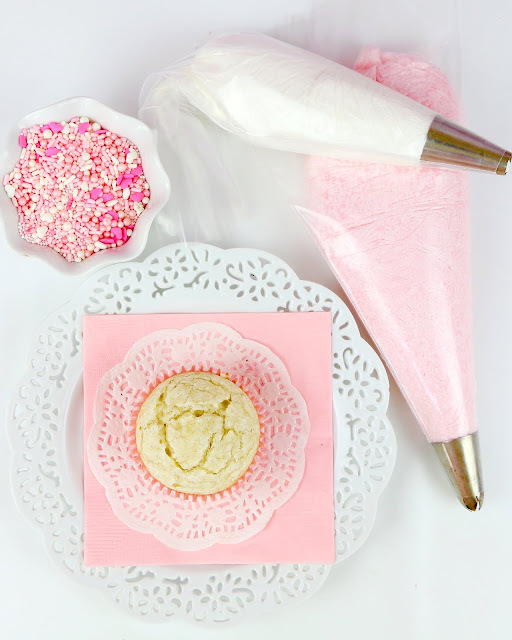 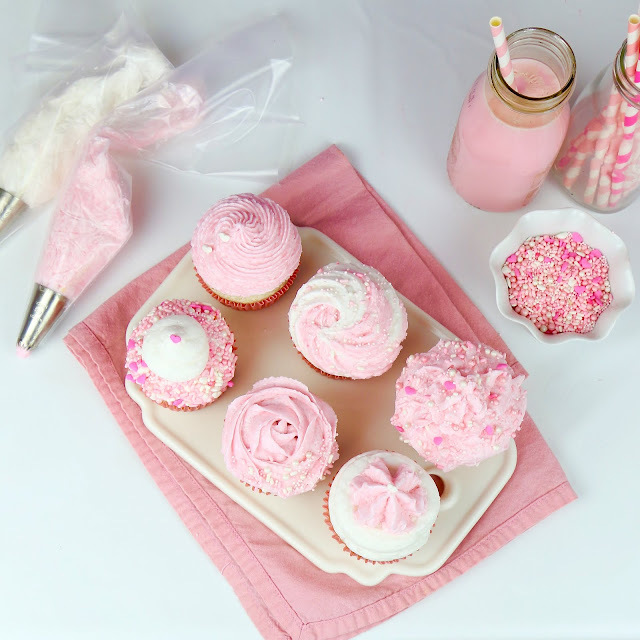 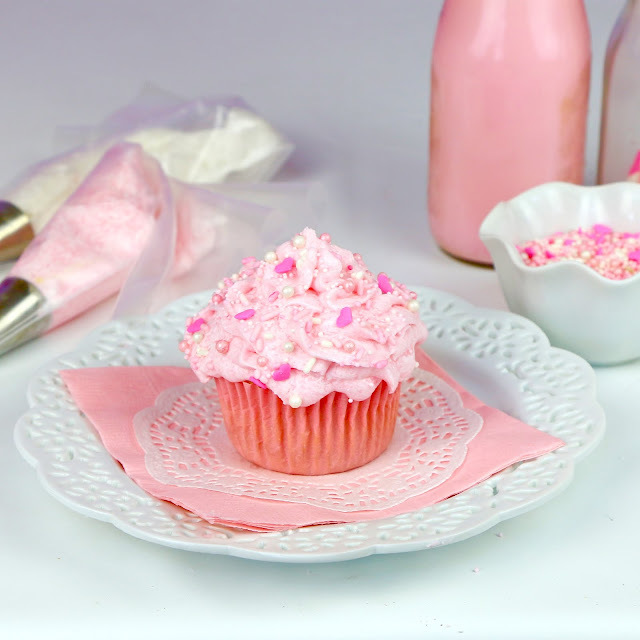 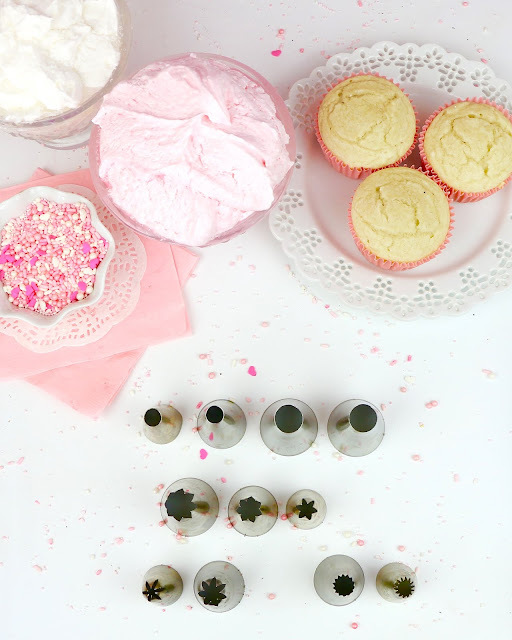 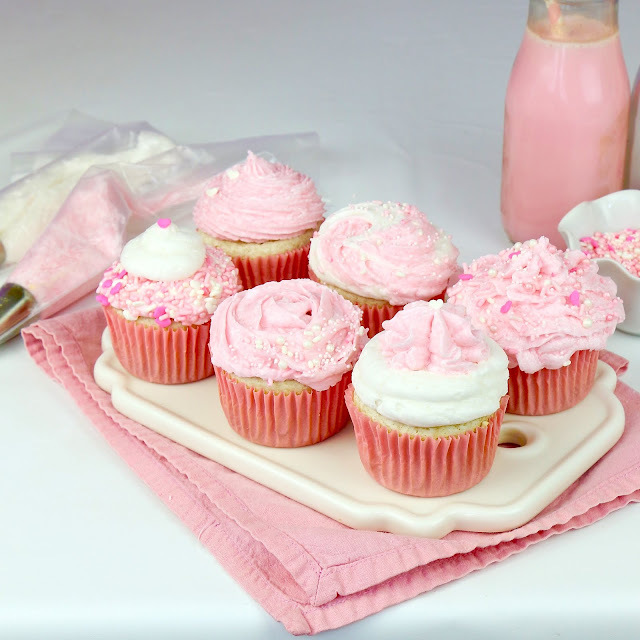 All you'll need are some cupcakes, frosting, sprinkles and a piping bag with an assortment of piping tips. 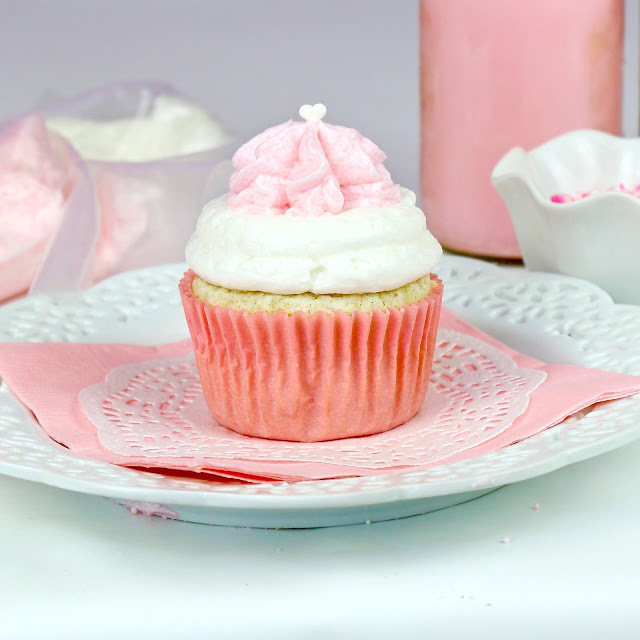 You can choose any color frosting to pair with your favorite cupcakes. 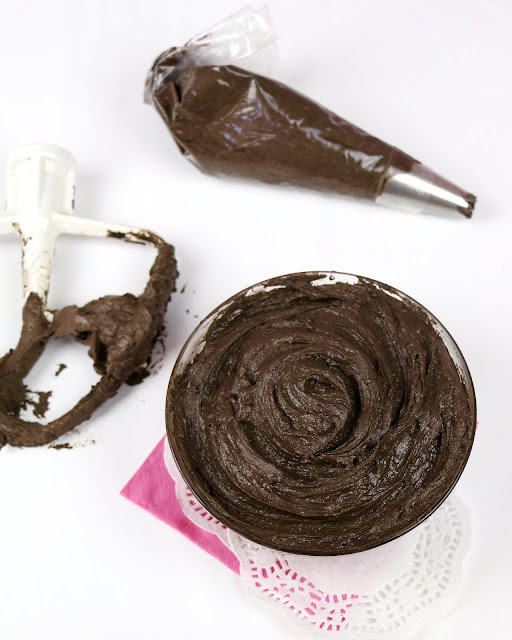 Today I did vanilla, but chocolate works great too! 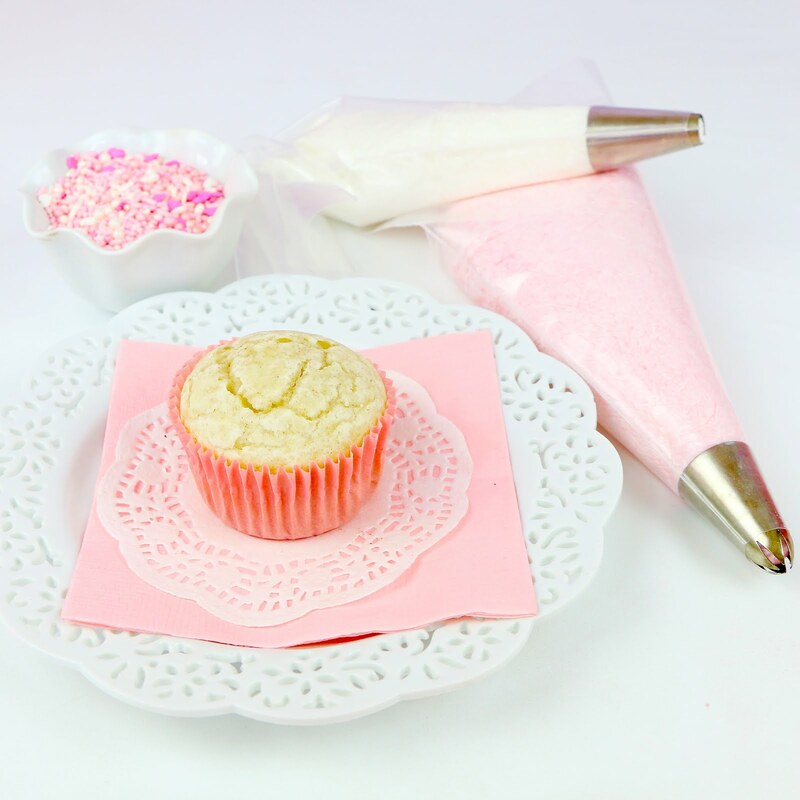 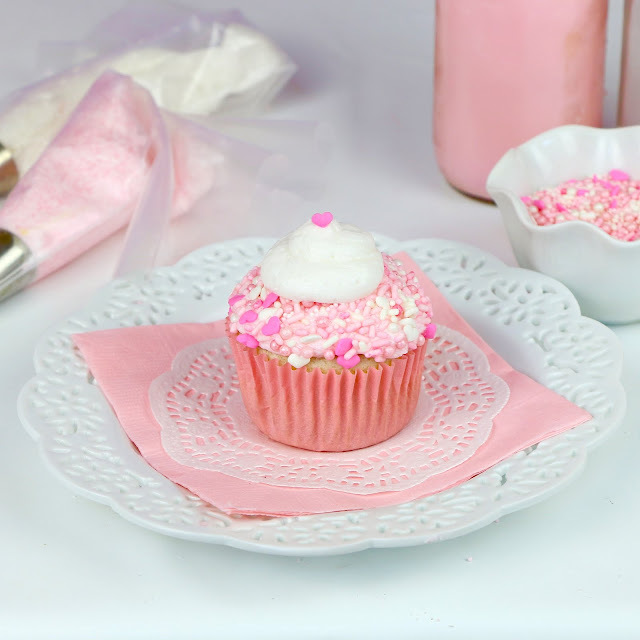 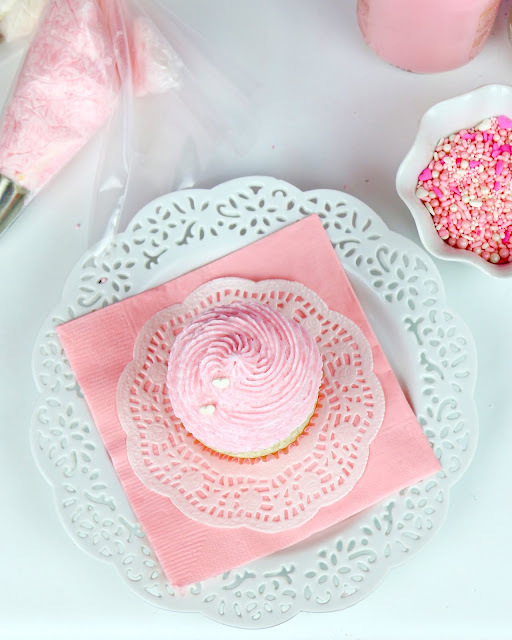 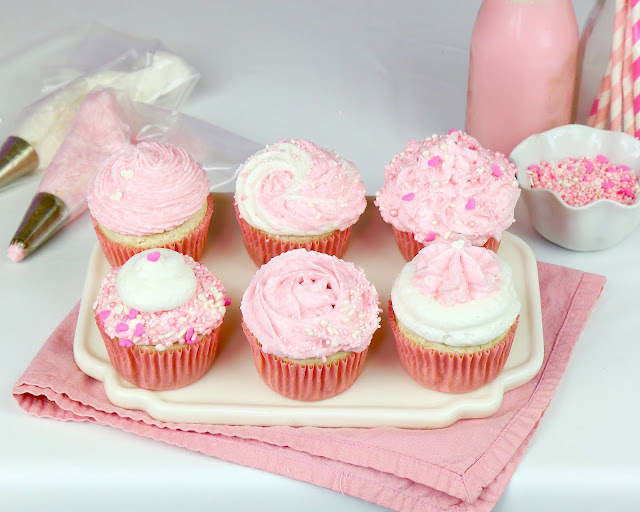 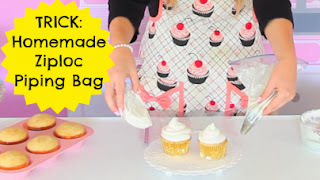 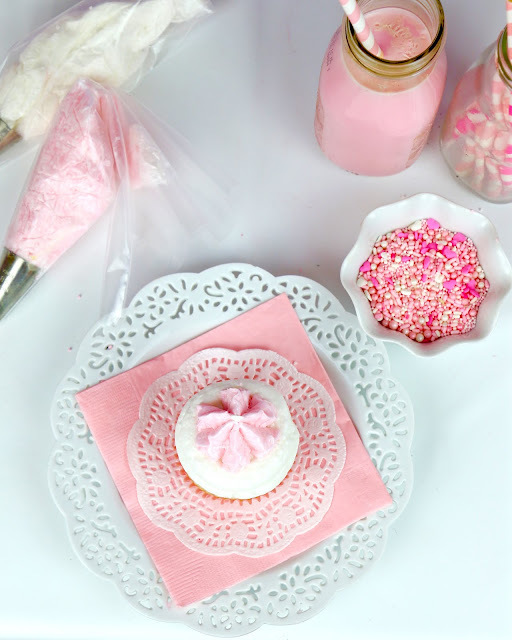 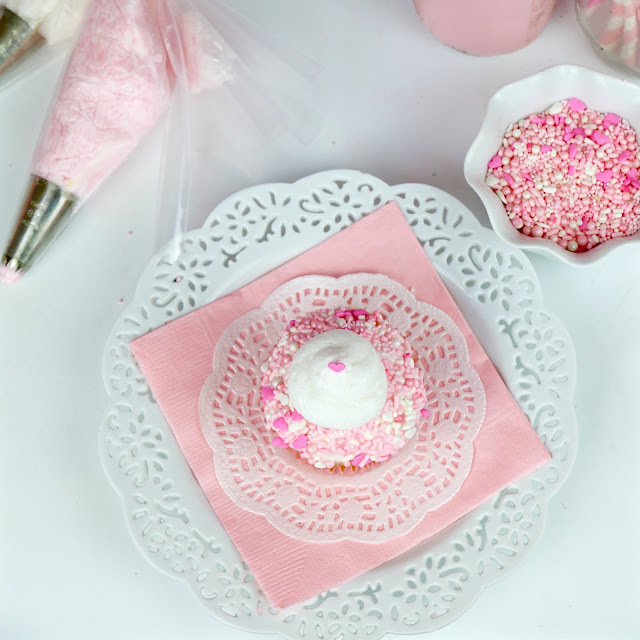 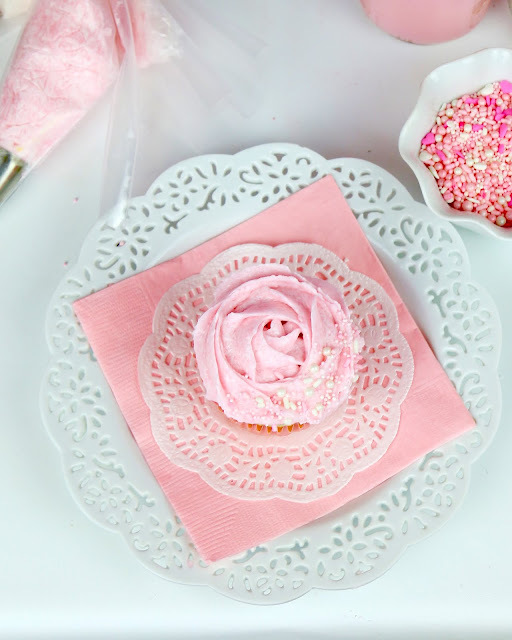 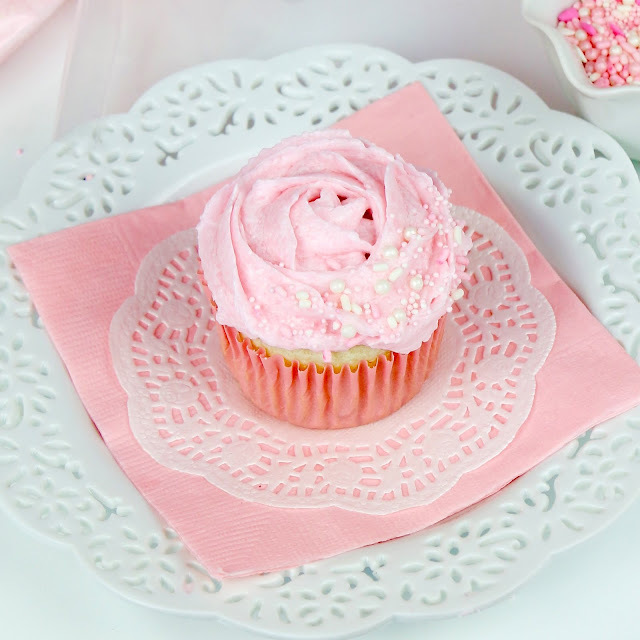 These are my 3 favorite piping tips that I use all the time! 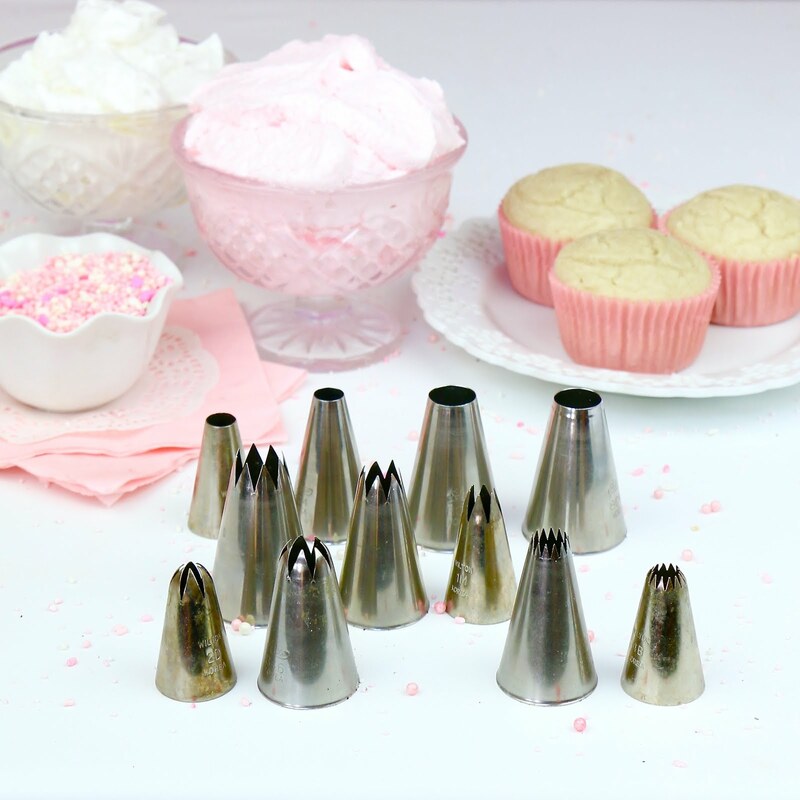 The French Star Tip - Wilton 4B: http://amzn.to/2dyf740, Closed Star Tip - Wilton 2D: http://amzn.to/2dGwImv and Round Tip - Wilton 2A: http://amzn.to/2cv0u01. 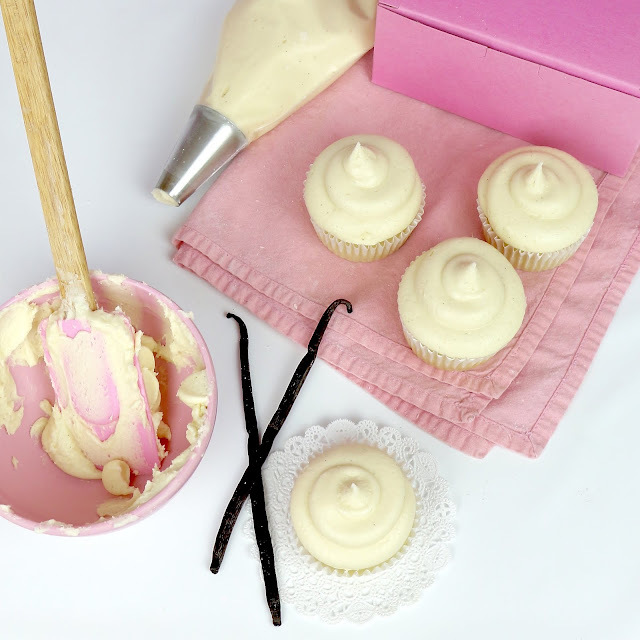 Start in the center and pipe a swirl using a Closed Star Tip - Wilton 2D: http://amzn.to/2dGwImv, working your way outward, instead of upward. 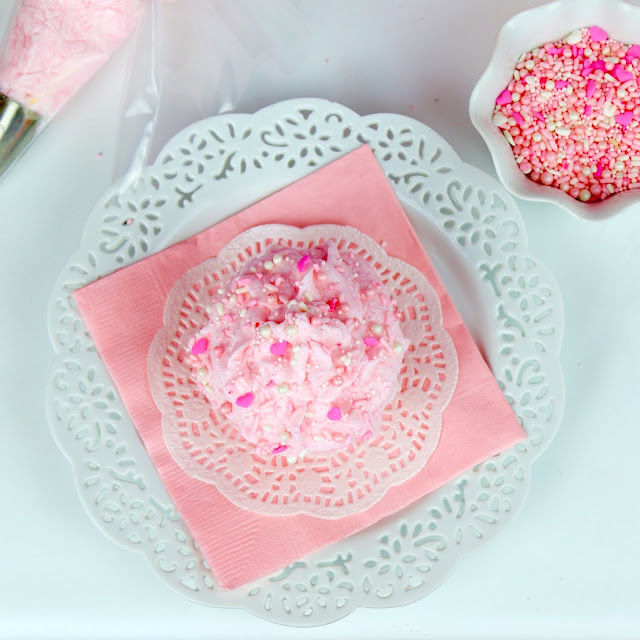 Add sprinkles or a candy leaf. 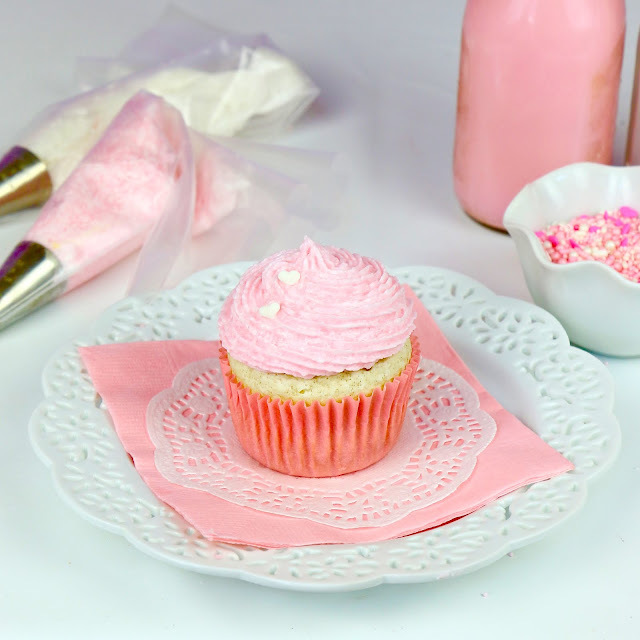 Using a French Star Tip - Wilton 4B: http://amzn.to/2dyf740, start in the center at a 90 degree angel and move to the edge of the cupcake, piping all the way around the base. 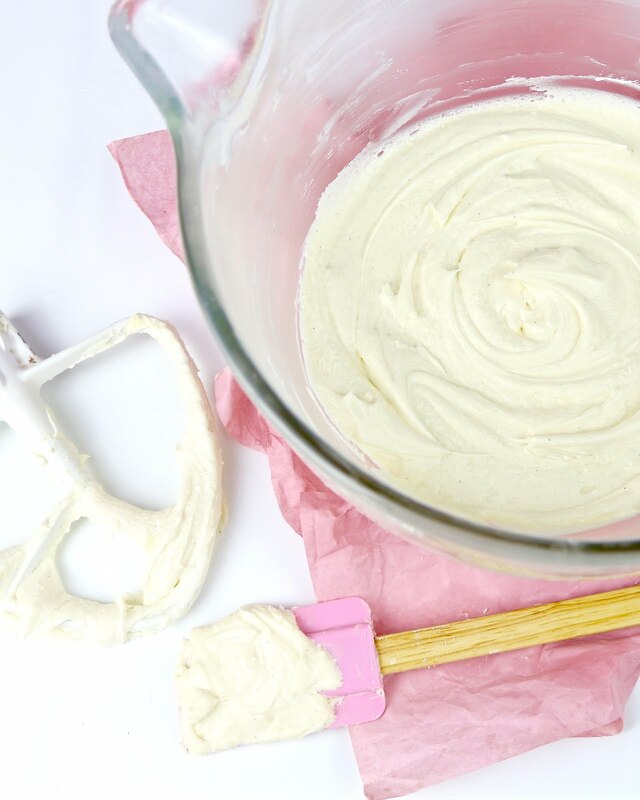 Work your way up to create a classic swirl. Adorn with sprinkles. 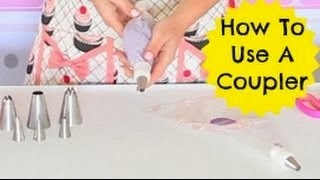 Using a Round Tip - Wilton 2A: http://amzn.to/2cv0u01 with your first color, pipe a dollop in the center (or use a marshmallow of raspberry instead. 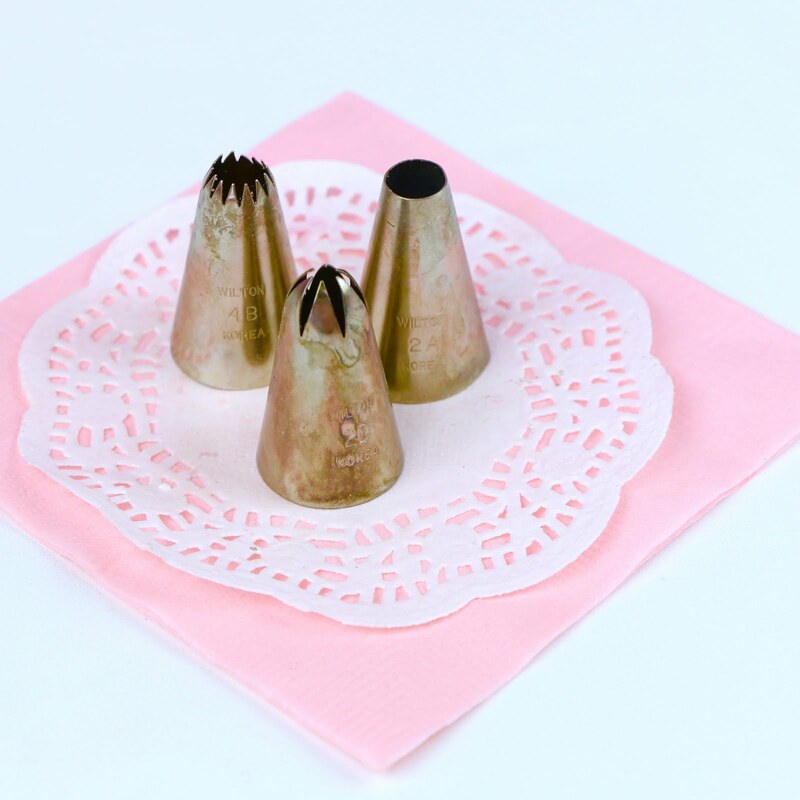 Pipe two rings around the center dollop. 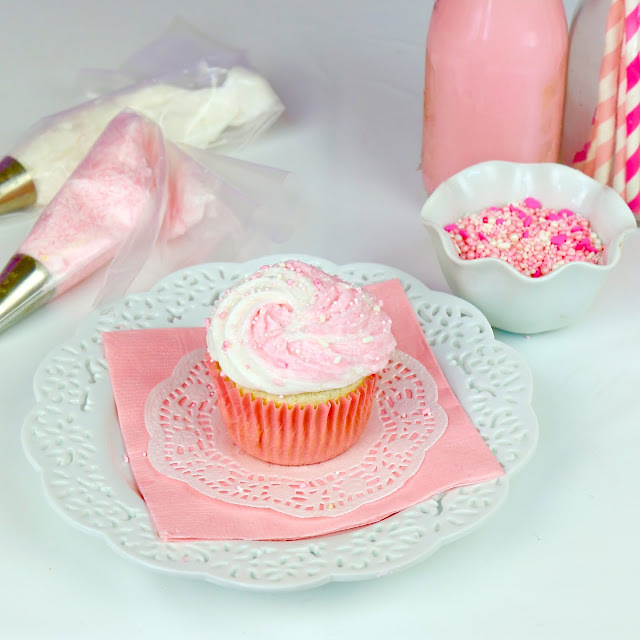 Useing your second color and a Closed Star Tip - Wilton 2D: http://amzn.to/2dGwImv, squeeze a ruffly frill in the center of the rings and top with a sprinkle, cherry or candy. 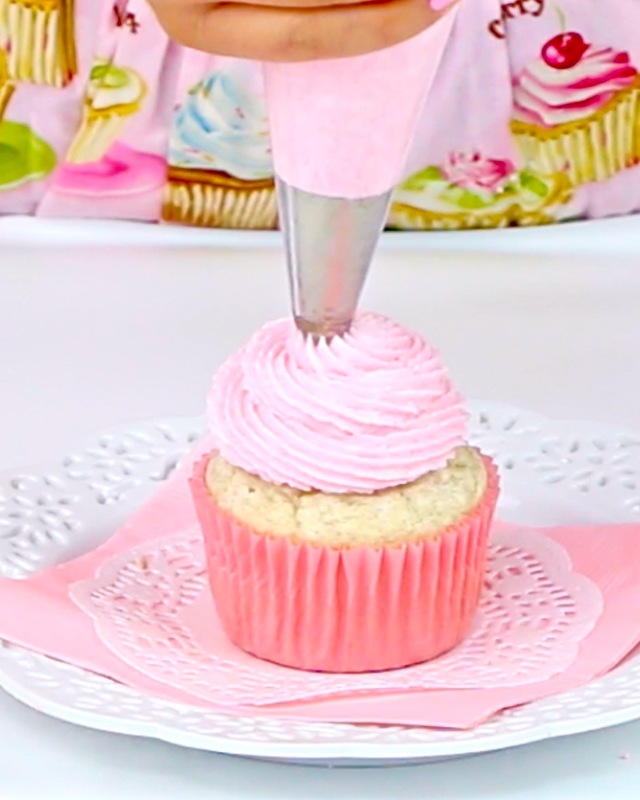 Using a Closed Star Tip - Wilton 2D: http://amzn.to/2dGwImv, squeeze firmly and slowly at a 90 degree angel, pipe all the way around the base, working your way up to create a ruffly swirl. Add sprinkles on top while frosting is still wet. 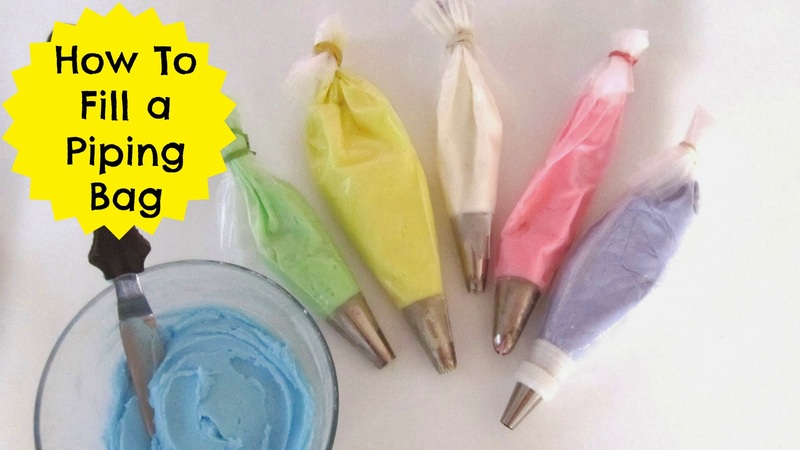 Wrap two colors of frosting in two pieces of plastic wrap. 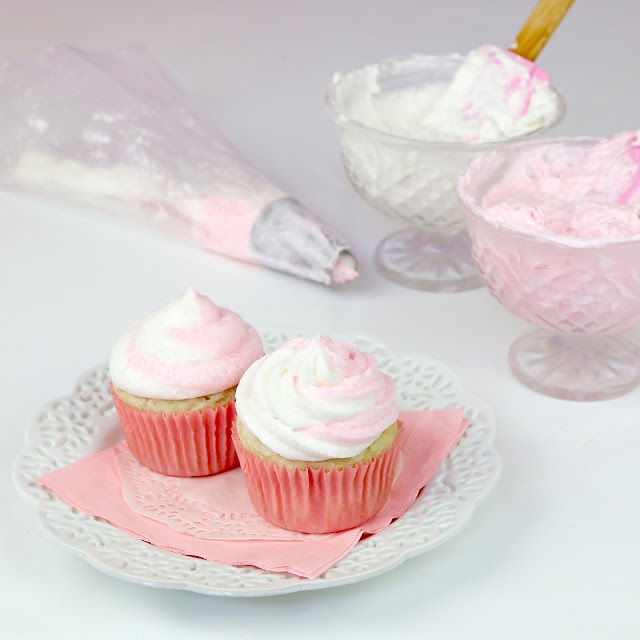 Twist the bottoms together, snip off the tips and place in piping bag using any tip (I used a Jumbo Open Star Tip - Ateco 827: http://amzn.to/2ds7IlE. 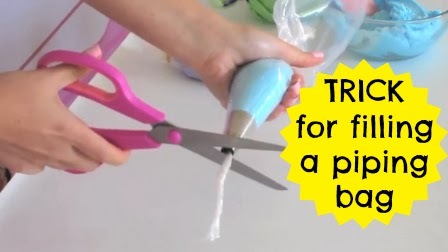 Squeeze until you see both colors coming out evenly. 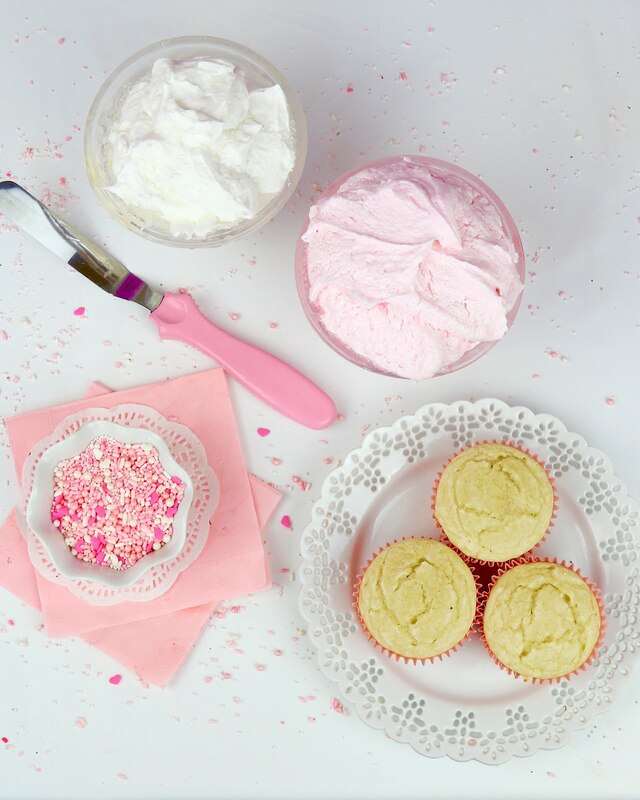 Pipe a classic swirl and top with sprinkles. 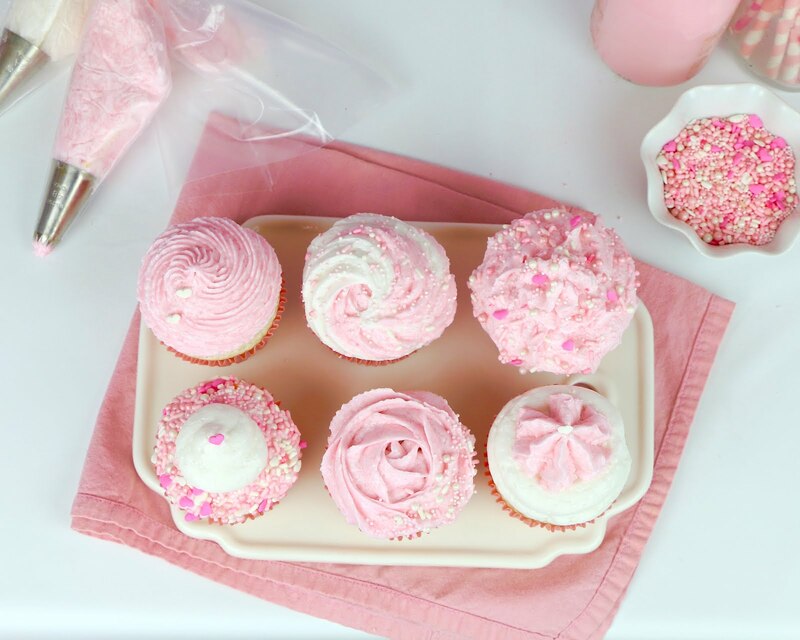 Check out my cupcakes playlist on Youtube!